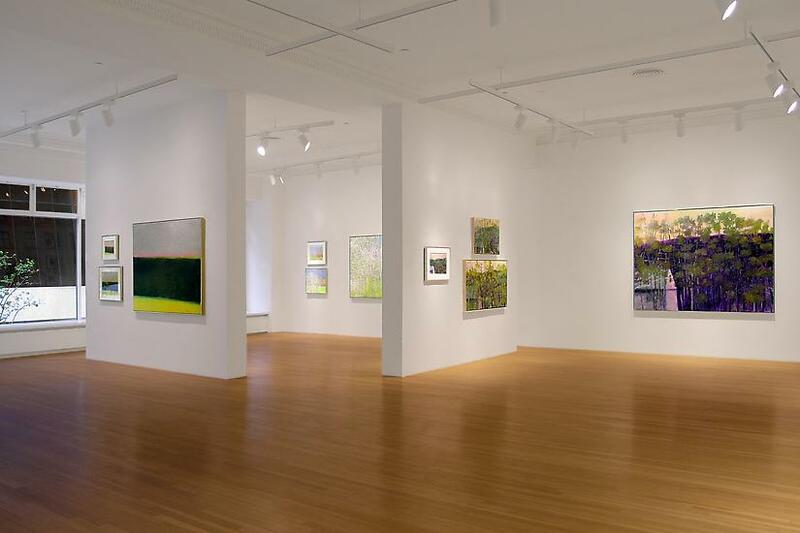 New York, New York – Ameringer & Yohe Fine Art is pleased to announce the opening of an exhibition of new work by Wolf Kahn (b. 1927). Wolf Kahn Toward the Larger View: A Painter’s Process opens with a public reception for the artist on Thursday, April 23rd. A fully illustrated catalogue with commentary by the artist will accompany the exhibition. Wolf Kahn Toward the Larger View: A Painter’s Process offers a rare glimpse into the heart of an artist’s working process. Kahn begins a picture series with small preparatory sketches often executed on site. Through experimentation and refinement, these sketches will develop into more finished pastels, evolving upward into medium and eventually large scale oil paintings. As he works, Kahn weighs and probes variations in chromatic intensity and tone; a shift in focus may bring detail into sharper relief or open a landscape into greater abstraction or rich Rothko-like bands of color. Wolf Kahn was born in 1927 in Stuttgart, Germany. He arrived in the United States in 1940. After serving in the U.S. Navy during World War II, he studied with Hans Hofmann in New York and in Provincetown, eventually becoming the artist’s assistant. Blending training in color theory with modernist discipline and a spontaneous and lyrical realism, and with his career now in its sixth decade, Wolf Kahn is widely recognized as one of America’s most beloved painters. Kahn’s work may be found in the collections of New York City’s Metropolitan Museum of Art, the Whitney Museum of American Art, the Museum of Modern Art, and The Jewish Museum; the Museum of Fine Arts in Boston; the Hirshhorn Museum and the National Museum of American Art in Washington, D.C. He is a member of the National Academy of Design and the American Academy of Arts and Letters, and the recipient of numerous awards including a Fulbright Scholarship, a John Simon Guggenheim Fellowship, and an Award in Art from the American Academy of Arts and Letters. Wolf Kahn and his wife, the painter Emily Mason, live and work in New York City and in Vermont.